One of the most substantial expenses incurred during a person’s lifetime is often directly related to their college education. The total cost of pursuing a four year degree averages just under $50,000. For students seeking education beyond just a four year degree, graduate degrees can add an additional $60,000 to the overall education costs. While the benefits of a college education can often be priceless, many students feel the cost may prevent them from being able to further their education beyond high school. A college grant is essentially a gift of funds designed to pay for a portion of a student’s education expenses. Unlike a student loan, a grant does not require repayment. They are also based primarily on financial need, unlike traditional scholarship programs that award money based strictly on past performance, merit, or athletic talent. Educational grants are ideal for the student who is not able to independently afford a college education and may not necessarily have excelled academically or physically in the past, but still wishes to purse an advanced degree. The government, as well as numerous public and private entities, offer a wide variety of educational grants to aid students. Some of the grants may be geared specifically towards a particular level of degree, such as Bachelors’ or Masters’ degree programs while others may be targeted towards students studying for future roles in specific occupations, such as nurses or teachers. When the workforce begins to see a decline in qualified employees for specific roles, grant programs are often created or expanded to encourage more students to select an area of study that will enable them to fill a future need. There are also several grants directed specifically to minority students designed to bridge the gap between a person’s nationality and the education level they are able to achieve. The Pell Grant is the core of the government funded educational grant program. The program was designed specifically for undergraduate students pursuing a Bachelor’s degree but may also provide aid for students seeking an advanced degree in certain areas such as teaching. In some cases, Pell Grant eligibility is a pre-requisite for eligibility in any of the other federally funded grant programs. Pell Grants are given based solely on financial need. A student is eligible for an Academic Competitiveness Grant if he/she is in their first or second year of undergraduate study. While in high school, the student must have also successfully participated in a ‘rigorous secondary school program of study’ as defined, outlined, and governed by the U.S. Department of Education. Although the ACG program is based on academic achievement, a student must also qualify for a Pell Grant first, ensuring that a financial need does exist. Students receiving this award must also maintain a certain grade point average (GPA) while pursuing their studies. A Federal Supplemental Educational Opportunity Grant is a program that was designed to provide an extra level of financial award to aid recipients with the greatest overall financial need. While the student does not have to be a Pell Grant recipient to qualify for this grant, those who have been awarded Pell Grants are given a much higher priority when applying and qualifying for an FSEOG. The grants themselves are based on what other aid the student is receiving as well as how much money the school itself has been given to award for students who qualify for the program. The Teacher Education Assistance for College and Higher Education Grant was designed to increase the number of students pursing teaching degrees since the overall demand for educators had grown so drastically over time while the supply seem to diminish. This program is open to both undergraduate and graduate students and requires that recipients sign an ‘Agreement to Serve’. This contract states that a TEACH Grant recipient must work at a high need, low income school for a minimum of four of their first eight years after graduation. If this requirement is not met, any funds received from this grant program will be treated as a loan requiring repayment and subject to interest. The National Science and Mathematics Access to Retain Talent Grant was developed for students studying in the fields of math, science, technology, and various other key areas. Eligible students must be in their third or fourth year of undergraduate study and have also received a Pell Grant. They must also maintain a minimum GPA throughout their course of study. In order to qualify and apply for any federally funded educational grant programs, students and their families must complete a Free Application for Federal Student Aid (FAFSA). This document is used to report income and asset information which will be used by the government to determine financial need. Once the FAFSA has been processed, the student will receive a Student Aid Report (SAR) which summarizes the information obtained from the FAFSA. While this paperwork is required to apply for any federal program, it is also needed, on occasion, when applying for state grants and private grants as well. Aside from federal grant programs being offered, most state governments also offer a variety of educational grant programs to their residents. As with most state funded programs, residency requirements will apply and may vary from one state to another. Some of the most common state funded programs are based on a student’s minority status, whether it be race or gender based. Grants for Native American, Hispanic, and African American students are some of the most common alongside those geared specifically towards female students. Most state governments also offer various types of grants based on income needs. What most people don’t realize is that the majority of these programs are fully funded by the profit the state government makes from its lottery programs. While not everyone approves of gambling, the money these programs have helped raise over the years being used to provide educational grants to students in need has been substantial. Just as with certain federal grants, state governments create and modify grant programs targeted towards specific areas of study as well. By analyzing the present and future gaps in the workforce, the states are able to customize their grant programs in order to increase the enrollment levels of students in specific subjects. While nursing and teaching are the two most common careers in demand at the moment, state governments are able to create new grants targeted towards other areas of study as other workforce needs are discovered. More detailed information on individual state government educational grants can be obtained through the U.S. Department of Education’s website which provides an up to date list of links to all the state educational grant programs. The individual state sites will also provide full information on exact grant qualifications as well as how to apply for specific educational grants. Since the state programs are government funded, most of them will also require a copy of your FAFSA to determine financial need and grant eligibility. 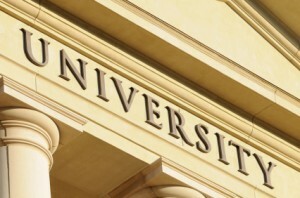 Depending on which academic institution a student chooses to attend, they may also be eligible for various educational grants offered directly by the college or university. Upon acceptance into a school program, most students will receive a financial aid packet detailing all of the grant programs open to them at that particular institution as well as details on eligibility requirements and instructions on how to apply for each particular grant. College & university grants may be funded by famous alumni of the institution who have chosen to donate money to fund a portion of, or all of, a grant program designed to attract future students to their own alma mater. If an alumni has passed on, some families choose to use their estate to create grant programs in their honor. Grants such as these are almost always named after the person they were created by or created in memory of. This is often done by, or on behalf of, alumni who either dealt with financial needs themselves while growing up or those who simply choose to use their money to ensure future generations have the same access to a quality education as they did. Many of the grants in this category may also be tailored specifically to certain areas of study and have somewhat strict eligibility requirements. These eligibility standards are often created solely by the person funding the grant itself or by the family of the person whose name the grant is designed to honor. Student specific educational grants are probably the most diverse category of grants available, primarily because they are most often targeted to a very select group of eligible candidates. While student specific educational grants may have the lowest percentage of students that they may be able to assist, they also tend to offer some of the higher dollar amounts of any of the other grant programs previously mentioned. With the rise of adults returning to school to further their education, several grants are available to assist these newly classified ‘non-traditional’ students. Some of these grant programs may be sponsored by the individual’s employer as a way to encourage their staff to increases their advancement potential or simply learn a new field that the employer may have identified a future need in. By investing in their employee’s educations, companies also essentially buy a stake in the employee’s loyalty. Most employees are very hesitant to leave an organization that shows such a strong interest in not only making a profit, but developing their employees as well. Non-traditional students should check with their company’s Human Resources Department when looking for educational grants. They should be able to provide employees with any details they may need regarding the grants as well as information on how to apply for one if they are offered. Non-traditional students may still qualify for educational grants offered by some companies. Workplaces often offer grants to children of their employees as an added benefit or perk of employment. The grant may be designed to simply increase employee moral by showing the employee that the company cares for their well being as well as their family’s. Other workplace grants for children of employees may be targeted towards students pursuing an education that is directly or indirectly related to or benefits the industry the company is part of. Some companies simply offer educational grants for no other reason than the publicity they receive because of the financial gift. Donating company funds to a charitable cause such as an educational grant is also an effective way of achieving certain tax write offs. Regardless of the reasoning behind why the company offers these grants, they can be a rich source of aid that shouldn’t be overlooked. Student specific grant programs may also be funded by various professional associations serving individuals in specific roles or environments. By offering aid to students in need, these professional organizations are able to attract more individuals into fields of study they may not have previously considered. Some organizations even offer educational grants to the children of their members in an attempt to encourage students to follow in their parents’ footsteps. Again, similar to grants offered by individual corporations, professional association educational grants may also be a way to simply honor their members by offering to help ease the financial burden of their child’s continued education. These types of grants are very common amongst groups which cater to professionals in high demand jobs such as teachers, nurses, engineers, or scientists. Students who have family members who are members of a professional organization, or those who already know which career path they are interested in pursuing, should check with both the local and national professional organizations that cater to that profession to see what resources may be available to them. Aside from federal and state funded grants targeting specific minority groups, many private organizations created specifically to support those groups may also offer educational grants. In an effort to help reduce or eliminate certain racial and cultural barriers often driven by lack of access to advanced educational opportunities, these groups provide grants to students of particular backgrounds in order to increase the future professional and financial prospects available to them. Some of these programs, similar to those at colleges and universities, may also be funded by influential or famous members of the organization who wish to further the groups cause. If you belong to a minority group, check with both your local and national minority specific organizations to see what types of educational grants they may have to offer. Oftentimes, long standing social clubs and groups can be a rich source for educational grants. Groups such as the American Legion, the Rotary Club, the Kiwanis, and the Lions Club frequently set up grant programs for the children of their members. If students have family members who are affiliated with specific public or private social clubs, they can have them ask about any grants the organization may offer. Social clubs, especially the more prominent ones, are usually well known for the efforts they make to give back to their members as well as their community. By providing educational grants to eligible students, they are serving both their members’ needs as well as helping to educate future professionals that may one day use their resources to give back to the community they came from. The first place to start when researching available college educational grant opportunities is with the federal government. This is the one resource that will generally offer the programs available to the largest percentage of students. Once the necessary steps have been completed to apply for federal educational grants, the state grant application process should go fairly quickly. Students should check with their school’s financial aid office as they often keep or have access to a rather extensive database of private grant offerings. There are also several sites online that offer access to these types of databases at little or no charge. The chosen field of study and future career interests can also be used to help determine what other grants a student may qualify for and what sources they can be obtained from. Family members that may be affiliated with various professional organizations and social clubs that may be able to offer you additional financial assistance in the form of educational grants should also be consulted. By exploring all sources of educational grants available, an undergraduate or graduate degree may be more affordable than ever. I am just a plain person but I really have the desire to help someone from our place to help in pursuing to school or finishing college or in any stage in school like Elementary and Secondary Studies. But unfortunately I don’t have money to support myself. I am writing to you just to know if you could give me a chance to help someone from our place to finish studies. Here in our place; Bayawan City, Negros Oriental, Philippines have lots of Child Laborers. They are mostly working on sugarcane plantations or farms just to earn money and support and help their families. These children really wanted to finish their studies but has a lack of money to support INTENDED for their EDUCATION. They worked to help finance their studies but mostly the money that they earned will mostly be used to fill their stomach with foods. If you could really help these children, they would really be happy and surely they can help their families too. My Husband had worked as a community worker, a Personal Education Officer under ChildFund Education partnered with World Vision before but the project was done already but STILL there are lots of children to helped, and we both wanted to help these children with YOUR ORGANIZATIONS FINANCIAL SUPPORT, as we can’t support them on that aspect -MONEY. I hope there is a FREE Education, but in reality there is NONE especially under the Formal Education. In some cases, it’s FREE but still needs to get money from a pocket. Please advise us what to do to qualify under your funding program. Please be informed also that in our home there is a High School Graduate that has a good record during his elementary and secondary studies. He got some Scholarship but only a half amount from the actual tuition fees and other miscellaneous fees in school is covered on that scholarship program given by a politician. The problem is that, this scholarship program that is being given to qualified graduate students by this politician is ONLY HALF, so most of the students that were granted of this scholarship will not SUCCESSFULLY graduate in college, because it is still short. So for example out of 50 students that he granted of that scholarship program only 10 will graduate. This is really disappointing because the student already started and has the determination to finish studying but lack of finance support to do it. I hope you could support these children from our place and we would be glad to support them also to connect to you. I am trying to get this grant. how can I apply? I am a 29 year old female who has been attempting to complete my degree in Education. I have 3 children ages 5, 7, and 8. I am in the Junior Cohort at GC&SU and looking for financial assistance. I am a 19 year old female who has been attempting to complete my degree in Business and Photography. I have 1 child. I am looking for financial assistance. Can someone help me out with this grant? Currently I’m having financial difficulties paying school, things have been really rough, I had to leave college earlier this year because of money issues, also family issues, But I really to attend college again to upcoming fall semester and finish school on time. If I completed this dream I would be the first person in my family to finish college… PLEASE CAN YOU HELP ME OUT!!! I’d like to inquire on how to apply for free grant money for attending college in Wisconsin. I’m an older non-traditional divorced female, 1st generation college student, and am working in public service past 15 years–budget cuts every year with my contract. I would really appreciate any guidance for any type of free grant to finish college (low income, 1st generation student, older divorced non-traditional student, and have worked in public service past 15 years–and have been cut in hours). Any assistance would be appreciated so I can finish my 4-year BS Degree in Business. I am a graduate student with the University of Phoenix Online and a 9th grade English teacher. I have completed all of my required course for my Doctorate in Educational Leadership in Curriculum and Instruction with the University of Phoenix. I am currently writing my dissertation proposal; Chapters (1-3). Once I finish writing these three chapters, I will need to submit them to Internal Review Board (IRB) for approval. I need the approval before I can conduct my research for the last two chapters, 4 & 5. Unfortunately, I have run out of money for classes. I need money ($2600) for course DOC 733/B and money to pay off my $2500 account balance. I seriously in need of a grant so I can continue to move forward and graduate with my Doctorate. I have worked so hard and stayed up day and night to complete coursework and be a wife, mother to my children and English teacher as a profession. Just think I am right here at the end and have found myself facing a financial crisis. If there is a grant I qualify for that can be paid directly to the University of phoenix, please help me. It will take a miracle to get me out of this terrible crisis, please help me experience academic success. i wanna take a Scholarship in Photography. i wanna know details , because i am from cairo and love to know more details, and the available dates for attend . Dear Sir/Madam. I wish to aply for a grant. I am going to study psychology in 2014. it is a 4year duration course. It is a degree and honours. I feel that with your help. I may help so many people and save lives by producing my skills to those people who will be in need of psychology. I realy need to study psychology. I have found a college and have enquire my problem is funding. Moreover I am a married mother with a 4year old daughter.. I cannot afford to pay for my fees at all. I believe with your help I may be successful and have a bright future. Kind Regards. Yolisa Hoza.